Hi everyone, Welcome to my stop of the Simon Says Stamp My Favorite release Blog Hop! This release is full of fantastic imagery to jump start your Spring and Summer card making with stamps, dies and watercolor cards. This first card uses the Mother's Day Zingers which are non traditional greetings, something funny but not too edgy. I created a watercolor background with Distress inks, allowed it to dry, then stamped my greeting in black and added sequins. 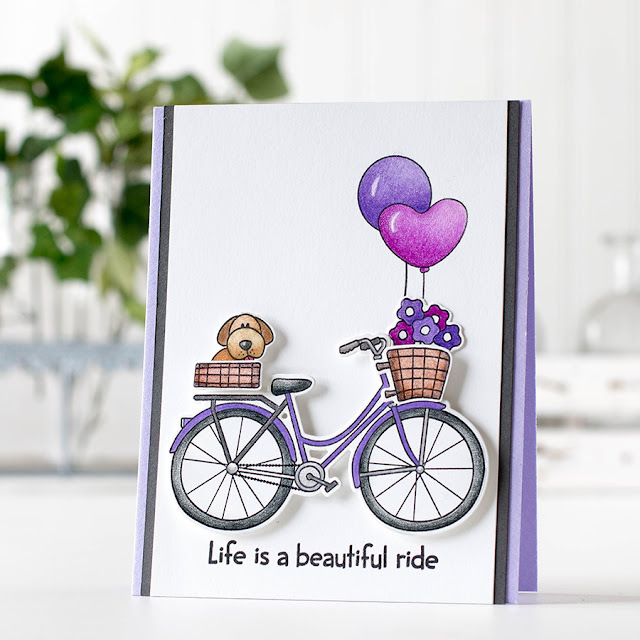 My next card uses the Beautiful Ride stamp set and dies, along with the balloons from the Cuddly Critters Accessories set. I colored everything in purple tones and added the puppy to the back basket. I love retro... and especially 50's diner style. The Retro Thanks stamp set reminds me of the boomerang patterns on diner tables from my childhood. I've stamped and diet my pieces and assembled them together to capture that time treasured style. You know me, I love to layer... even if it's layering stamp images. The Wild Beauty stamp set is a perfect set to create long summed beauties or and arrangement with a greeting. 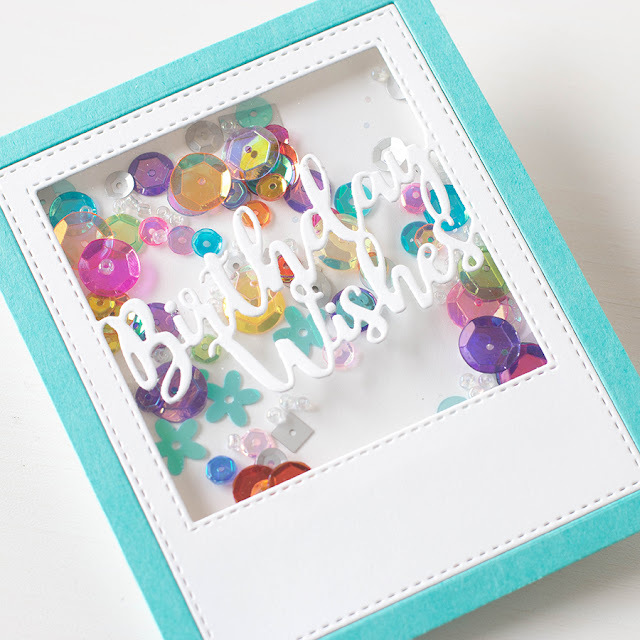 And finally for you who love shaker cards, I've used the Birthday Wishes Frame die. This die is super easy to use to create quick shakers. You could color the Birthday greeting with markers for more impact and even use a hint of glitter! Simon Says Stamp will be giving away a goody bag from every stop of the hop. Be sure to leave me a comment for a chance to win. Simon will contact you directly once winners are drawn this coming Monday, April 25. Good Luck!! If you get lost along the way, head over to the Simon Says Stamp blog for a list and links to all the blogs. Thanks for stopping by!! Beautiful cards! I especially like the first one with watercolor and sequins and the shaker card is awesome! Thank you for sharing! These cards are so gorgeous, especially the one with the bicycle and the one with the flowres. Well, I guess I love them all really! These are fabulous! I love the watercolors on the first one. it's hard to pick a fav; they're all delish... methinks it's a tie between the flowers and the fav Mom cards tho'. thanx for the inspiration and blog candy opp! I just love your "style" Shari. Your card designs always look so fresh and clean. I have CASED many of your cards. 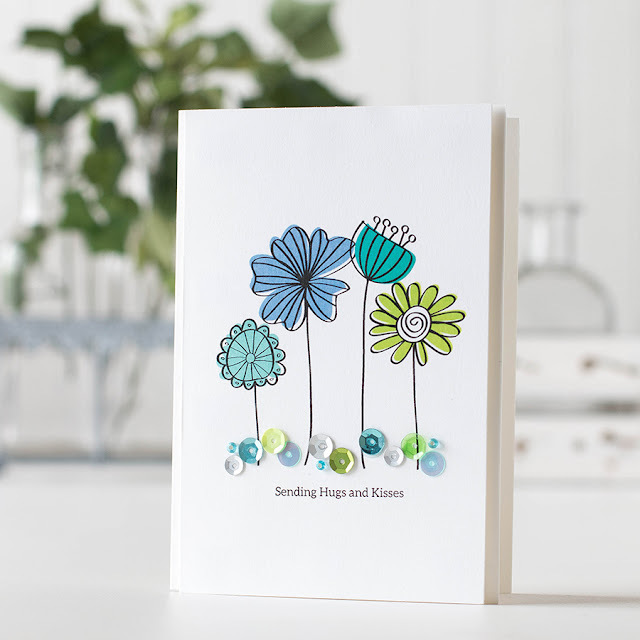 Beautiful cards and designs, Shari! Beautiful cards!!! The bicycle and the frame die are awesome!!! Love the bicycle stamp set! so many great ideas with it. Each of your cards has unique touches like the sequins with the flowers, watercoloring with the mom, etc. I LOVE that birthday wishes die! I love the purple bike card!! I adore the first card but they are all beautiful!!! Love this release and am especially fond of the Mothers Day Zingers! So much inspiration! Love how your cards always look so fresh and crisp! The beautiful ride set is my favorite; good to see that one here! Have a colourfull weekend! Shari, your cards are all stunning! Love the new sets you have designed. I especially love the first, watercolored card with the Mother's Day Zinger sentiments - how fun are those! love your cards but the "mom" card is the best! I always love the clean look of your cards, even when they're crazy layered! My favorite today is You're my favorite Mom - that stamp set is wonderful. Wish I still had my Mom, but I compensate on Mother's Day by sending a card to my beautiful daughter, who is a great mom. Such great cards. I'm in love with the Beautiful Ride stamp and die set. Congrats, Shari! Love the stamp sets you designed and the beautiful cards that showcase them. This release would be a great starting point to get out of my current creative roadblock. Happy season. Cheers! WOW!! What a fabulous release ... so many possibilities!! Beautiful cards Shari ! They all look beautiful ! I love the simple layout of your cards. And congratulations for your designs, they're just great ! I think that my favorite card is the purple Beautiful Ride. Thanks for sharing. Your samples always make me want to buy the stamps you use! Beautiful creations! I couldn't begin to pick a favorite. I love all of the colors you used! Wow, what a gorgeous gallery of cards! I love them all! Your cards are so pretty. The first one with the lovely watercolored background is my favorite. I love the new Beautiful Ride set and you have showcased it beautifully. Thanks for sharing. Simple yet beautiful cards. Love the first one with the watercolor. Beautiful cards, I was admiring them in yesterday's video! I love the one with the bike - super cute! You make some beautiful cards! Thanks for all the inspiration for this release. WOW you have been a busy girl! 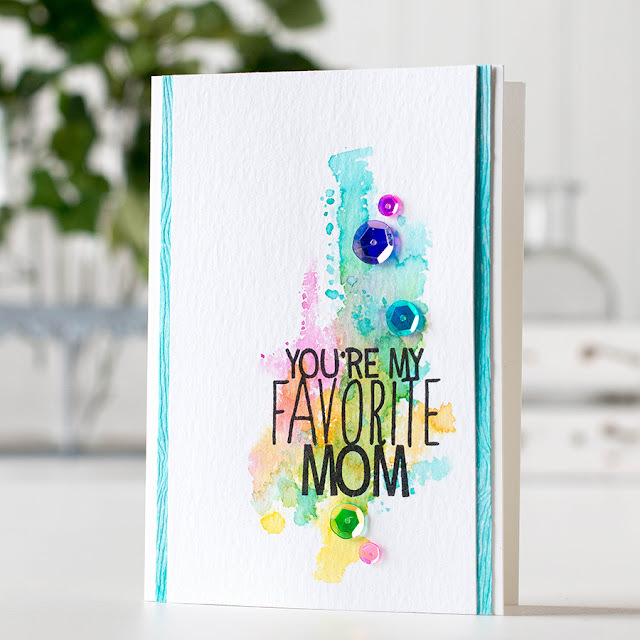 Wonderful cards, release, inspiration, my favorites are the watercolored favorite Mom and the shaker card! Love the cards. Thanks for sharing and stay blessed! Love the new flowers !!! Beautiful cards - makes me want the whole shebang! Girl, you have been busy designing stamps and dies for this release. Great job! I really like the beautiful ride set. Bicycles are so happy to me. Thanks for all your hard work. Simply amazing cards. Absolutely love the Mom card. Love this collection, Shari! So many great choices. The bike is amazing! They are all beautiful. I especially like the Happy Birthday shaker card. Gorgeous cards, I love your use of color! So pretty! The birthday shaker card is super cute and my fav. Such awesome cards, Shari! Love the bicycle card. BEAUTIFUL cards! Loving your Shaker....so FUN!!! Oh, my gosh. I love these. Wow!! I love all of them. Thanks for share. Oh my Shari, you HAVE been a busy girl! As usual, I love all of your cards and if I could only pick one favorite (after tossing and turning all night LOL), I would have to say it is the Beautiful Ride card...but wait, I changed my mind...it's the Retro Thanks...oh no, I changed my mind, etc. etc. Seriously thought Shari, congrats on all your designed stamp sets - you are such a creative woman and I truly hope you know how much you contribute to our crafty community! Fantabulous cards and amazing colors! Love it all! Your cards are fantastic! Especially love the retro stamps. Love the retro thanks die and the birthday wishes frame die. Cute and creative cards! I am excited to join your blog community. I love your style - each card is wonderfully unique. Look forward to "duplicating" some of your ideas - thanks so much for sharing! I just love how you showcased these new products with your beautiful cards! Love these cards. Ready for my order to be shipped! So much to choose from, will have to choose all! these cards a fabulous. really love the first one the combination of watercolor and sequins really make it special. Congrats Shari!! You have been busy alright, beautiful cards!! All of these are really beautiful, but the distress watercolor card is my favorite. Love that style and you create it so well! I love all your cards. Especially like the bicycle and shaker card. You were very busy making cards and I love all of them. Such great ideas. Thank you for sharing. Gorgeous selection of designs, love all your cards!!! You have been very busy Shari but I have to say your work is much appreciated! These are all awesome cards. Can't pick of fav. 'one' as they really are all fantastic. Great work! I love the Beautiful Ride stamp set and the Birthday Wishes Frame so inspiring. Thank you for sharing, your works are always inspiring. I like the bicycle one and the flowers one. They are cute and clean! i just love beautiful ride! that dog! The watercolor card ( love the colors) and the bicycle are my favorites. That puppy in the basket is too cute. Love your creations, especially the shaker card! Thanks for the inspiration. How fun it must be to see your designs come to life! It's always inspiring to see your cards. I loved all of your cards in this post, but if i have to pick a favorite... it would be your Wild Beauty one, because I love how the sequins kind of make up the ground and I love the colors! Oh my Shari, your cards are beautiful. These new stamps are definitely going to be "favorites". I am fairly new to stamping. Thanks for putting a smile on my face this a.m.! Love your Zingers set! Too funny! Great cards! Love how you used sequins on the Wild Beauty card. Love your use of blues! Great colors! Love your work, Shari (and I volunteer to be your proofreader -- you can't be perfect at everything). cute cards, but I loved the one with flowers! Beautiful cards! I like the bicycle and the birthday shaker card especially. love the cards, great ideas, its funny I like some of the stamps before the hop, then love them all after the hop! Thank you for sharing so many different examples! Awesome! Wonderful creations! Especially love the watercolor background on the first card! 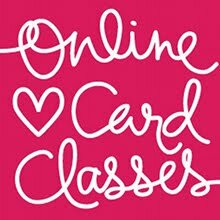 Fabulous group of cards, Shari! My fav is the Beautiful Ride... love the sweet pup in the basket. Wow...how many creations have you made for this release??? Super job! Oh my your cards as all wonderful! ADorable cards. Love the sequin flower bed! I really like your bike card, but I also like the birthday shaker. Love your cards, Shari. Thanks for sharing. OH, I love your cards! So beautiful! I really love the bicycle card and it just happens to be one of my favorite colors. I love all of them! It is very hard to choose since they are all gorgeous! Thank you for sharing! Toss up between the flower card and the first one with the watercolor type deaign on it. Beautiful cards and such fun stamps! beautiful cards…i love them all! I like the variety of your stamp choices in your cards and the layers! wild beauty is soooo cute! Love all of your great cards...especially like the bicycle! I love all your cards and the stamps and dies that you have designed. Thank you for the inspiration. Still love your clean and simple style! These are gorgeous and oh, I need that bicycle! You certainly are a busy bee with this great release, Shari! Love the Mother's day card! Wonderful stamps and dies that you have designed and made available! Love all your card creations but especially the 'Beautiful Ride' and 'Wild Beauty'. Thanks for all the inspiration! Great diversity. Thank you for sharing. Your cards are beauties ! All so different, all so beautiful ! Great combination of stamps, colours, techniques ! Congratulations on the stamp- and dies- sets you created ! Lovely cards Shari! Thank you. Can't even pick a favorite, they are all great! You HAVE been busy! Your sample cards are all fantastic!!! I really love die cut words on shaker windows! Such pretty cards. I love this release and those painted dies are my favorite. Wow, hard to pick a favorite--they're all great. But if I had to, I think the card with the bicycle and the one with the flowers are the one's I would chose. LOVE your new creations, Shari! Congrats on such a BIG accomplishment. SSS is very lucky to have you on their team!! The cards you've made really showcase these new goodies. I love all of your cards! Simply beautiful! Beautiful work. 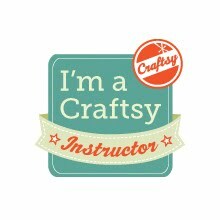 Love the retro sign, reminds me of an older sizzix die, This will complete it very nicely. Thanks for sharing your work and providing great ideas for us. Lovely cards. Very nice job. Thank you! Life is a BEAUTIFUL ride! Love all your creativitiness!!! Thanks for sharing your beautiful designs. My favorite has to be the bicycle card. Wonderful cards!!! Loving all these new products!! Great cards! I love this release! All of the cards were beautiful. I couldn't pick just one. You've been a busy lady! Lovely cards. Thanks for sharing. Fell in love with the Mother's Day Zingers card you did...the colors are fabulous. Also, the Wild Beauty card you did...divine. I adore the simplicity and again, the colors are fabulous. Pinned them both. Great job! Wow, beautiful cards--love the bicycle stamp and love that you can put your favorite kitty cat in the basket and go on a ride! Love it! I love all of your cards. They are are so fun and cheerful. Thanks for sharing. Great cards! Love the Retro Thanks and Wild Beauty. Amazing cards, full of color and fun, thanks so much!! Great cards. Love the birthday wishes frame shaker card. You have been very busy! Creating the products and then showcasing them so well. Thanks for the chance. Shari, you really have been busy! Thanks for the great work! The beautiful ride card with the pup in the basket is just too cute! Great cards, Shari! My favorites are the bike one and the shaker. Love the last one with the shaker! Your cards are just Beautiful! My favorite is the first one! I just love the sentiment and colors you used. All of your cards are lovely! OMG Shari - they are all amazing. I particularly like the flower one - the colors are awesome! Love the colors- so spring! Each card is simply lovely! The watercoloring on the Mother's Day card is lovely! Wonderful stamp sets and dies!! Bicycle Ride and Birthday Wishes are my favorites. Great cards. I love the bicycle one. Love the shaker card! All of them were wonderful especially the watercolor. Beautiful cards, Shari! I love all that bright and happy color! It makes them feel so cheerful! Oh my goodness! You never cease to amaze me! Love these cards and this new release by SSS! Wow your sample cards really show the "something for everyone" appeal of this release. My fav is the simple watercolor first card, but sure do love that purple bicycle too. What talent! I love each of these cards and they are all so different. Thanks for sharing! Love the watercolor and sequin combination on your first card. Gorgeous cards, Shari! I love how you colored the images on your 'Bicycle' card...so pretty! Beautiful cards! Love your use of the new stamps. Makes me want to get them all!! Love this release and all the inspiration from this blog hop! Love your cards, colour choice and watercolouring! The "Sending Hugs" is my favourite! Your card samples are all amazing, Shari! I really enjoyed the SSS video showcased you did too! I'm loving this new release so much!! Thanks for all the great inspiration!!! Love all of your cards. Thanks for the inspiration. Wonderful cards and such a great release! my favorite is the share card <3! Shari - I always look forward to seeing what you have to share. I really like the first card for it's simplicity, the design and colors. Thanks for sharing. So much inspiration here, thanks!! Shari. Thank you for the wonderful stamps and dies. I love your watercolor Zinger card! Just fabulous!!! Thank you so much for your inspirations!! All such beautiful cards and your designs for this release are awesome, you really have been busy! Wonderful variety of creations. Like the artsy look of the watercoloring background, the puppy dog in the bike basket, the retro look, flowers and the shaker card. Have a BEE-utiful day! You are just AMAZING! love your stamp designs.